Vote! But Where? And When? In the days leading up to Connecticut’s primary election this month, I did not receive my usual postcard reminding me when and where to vote. That’s important information. In addition to voting day coming in the middle of summer — when one day slides into the next — my polling place has changed twice. First it was Saugatuck Elementary School. Then it was the Westport Library. Now — with renovation underway — I vote at Town Hall. But I googled that info on my own, the day before the election. I figured my postcard got lost in the mail. In fact, there were no postcards. Westport and surrounding towns no longer send out postcards confirming the resident’s polling station and date of the election. This came to my attention after the primary last week, when many neighbors and friends said they did not vote because they were unaware it was the right date for Connecticut. I contacted the Registrar of Voters, and 1st Selectman Jim Marpe. Apparently the town saves money this way, and they do not believe cards are needed any longer. This is not true. And it will depress voter turnout, especially in communities where residents rely even more on this low-tech method of reminders. If this is a statewide issue, perhaps it can be solved at the state level. If it is a local issue, perhaps we can muster some awareness of the need for change. This entry was posted in Local politics, Politics and tagged Andree Aelion Brooks, Connecticut primary election, Election Day. Bookmark the permalink. There is a need for change. Postcards should definitely be sent out. Dan can you follow up with who we can petition to make the correction. How about some or all of the many political signs gracing lawns have the voting day posted right on them?! And then citizens actually be in charge of finding out their polling place, by looking online, calling Town Hall, asking a neighbor, etcetera. I had been asked by a friend about the locations for voting on Aug. 13. So I went to the website for the Westport League of Women Voters to find out the information and I was dumbfounded by what was on there – only information about the 2016 election. And as of this writing that is still the case. http://lwvwestportct.org/elections.html. I contacted the person in charge and was given a lame excuse about the webmaster being out of town. So what is their excuse now? The 2018 mid-term elections are on Nov. 6 and I sure hope they have found their webmaster by then. The LWV should not be giving excuses about why they don’t have the information on their website. Voters rely on them for accurate information. Voting is the most important responsibility each of us has in this democracy. I do not understand why it is so under valued. I just checked out the national website for the League of Woman Voters (LWV) and easily found links to various government sites that provide detailed information about voting, including polling places throughout the nation. The LWV is a nonprofit organization that relies on help from volunteers who do the best they can. If they are not living up to your expectations you should consider volunteering and helping them out rather than criticizing and coming up with lame excuses about relying on others who graciously volunteer their time and efforts. You can check to see if you are registered and the location of your polling place. Help family and friends to see they are good-to-go on November 6th! I have been a moderator or assistant registrar for 20 years .The cards did not increase voter turnout .The Primary was well advertised on line and in those old fashioned but useful newspapers .Polling places were condensed from 9 to I think 5 for the primary where approximately 30 percent Dems and 27 percent GOP voted .0ne could also phone the registrars office and a friendly voice will give you info Also there is sometimes a shift in polling places for primaries local state and federal election Absentee ballots were also well advertised The state decides when theCT primary is Sec of State Denise Merrill is the person to ask on the August date . I am confident more people will vote in Nov now that the choice is clear.CT has a closed primary so unaffiliated cannot vote in a primary. The town has the capabilities to send reminders via email, dog license, Parks and rec registration are already done that way. I believe the days of the post card are numbered and rightfully so. It saves the town money not to mention paper and ink and landfill space. As for the argument that voters did not know, on what planet do they live? There were political signs, candidates called/emailed to remind/plead to go vote, it was over the news statewide, and nationwide as there were other primaries that day…. It should not be difficult when emailing the reminder email to send out the list of polling places and the corresponding map of voters registration. Perhaps the town could send out email reminders? This would remind voters and not cost the town any money. Anything that encourages voter turnout should be employed. sending out a postcard is a small price to pay. The argument for continuing the practice is for awareness and information. So how about the town could send an email reminder or two with 1) a reminder to vote on the date, and 2) your polling location designation which is based on your address. Wouldn’t necessarily have to be personalized if the polling location/address scheme is shared. I would hope people could figure out their specific location. Not hard to do and no/low cost relative to postcards and mailing expense. Citizens get info and town saves $$$. In the end, a postcard isn’t going to get the vote out. People either care and make time for it or not. I am a former Westporter living in Trumbull. I passed the story on to our Democratic Registrar. She replied that Trumbull sends cards to voters for the general election, but not for primaries — for the same reason noted in the story, to save money. Her implication is that primaries are party functions — only people registered as Ds can vote in that primary, and, likewise Rs in theirs — so perhaps the parties should do the mailing (if they believe it is in their best interest). I’m also a Westport “townie”, now living in Trumbull! Mark Post is right. People who care will take the time to gather information, study the issues, make choices and vote. Information was scarce this time around. Unfortunately The Westport News in its prior to election issue found it more important to run an article on the daily routine of Harvey Weinstein than to provide voter information as to candidates and offices. 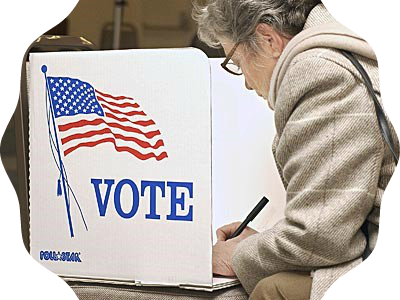 The league of Women Voters provides a great community service every election cycle and were probably dealing with the cost and effort of the fall election. The fact that they passed on a primary is not a reason for criticism. Dan, Dan, Dan, don’t you know the only way to inform the electorate is massive amounts of robo and live phone calls to everyone including my cat. Campaigns calling anyone is effectively blocked by each person who know screens every call to their phone number. Today only I had four fake calls telling my about how they can help get the cheapest health insurance. Guess what, it’s now a blocked number. Political calls will and do get blocked. ‘Nuff said. Downs. 1957. An economic theory of democracy. New York: Harper and Row. Downs presents a rational calculus of voting that has inspired much of the later work on voting and turnout. Particularly significant was his conclusion that a rational voter should almost never bother to vote. This conclusion, especially as elaborated on by Riker and Ordeshook (1968) has shifted the attention of modern political scientists from explaining why people don’t vote to explaining why they do. Fortunately, it’s been ignored by almost everyone. Voter turnout in the US is consistent with the theory. There is nothing to be ignored. There is no recommendation. One must consider the Very Senior Citizens that don’t use the computer! Yes there are some out there and are still very concerned citizens ! I know of several and manage to remind them but I’m sure there are quite a few more. Let’s not draw such a fine line around people ! I consider myself a concerned citizen who is interested and ready to vote but I never saw any indication of the primary anywhere and when I found out the day of, I couldn’t determine where I was supposed to go. I finally decided to go to the last place I voted and got lucky. After a little research, I concluded that both parties aren’t interested in promoting the primaries in order to have just a small select group vote to support their party nominations. The rest of ‘us’ can only undermine their picks if we get it ‘wrong’.Isn’t politics interesting? I too was confused by the lack of signage at Saugatuck El, my polling place. Where were the “stay back 75 feet” signs? I knew it was primary day and went to vote but was a little shocked by the lack of notice, signs and general feeling of “something’s happening here”. The biggest disappointment was no bake sale! Dan, thanks for bringing focus to this. I agree there was a lack of information to remind people about the Primary and where to vote. As DTC Chair, I am looking into it and will see what can be done to improve the situation for the upcoming election and future Primaries.